As part of the 2018/19 Works for Queensland (W4Q) program, Townsville City Council was awarded more than $23 million to deliver 99 projects by June 30 2019. The list of projects was formulated with input from all areas of council and Councillors, who nominated projects that were ready to go and of immediate benefit to the community. The projects, to be rolled out across the city, include upgrades to parks and streetscapes, pathway and walking track upgrades, road improvements, shade and security lighting installations. Shade structures over Townsville parks Installation of shade structures over playground areas to increase the appeal and use of open space recreational equipment. Exercise equipment and signage replacement Installation of park exercise equipment to promote a healthy lifestyle. Playground equipment upgrades Installation of playground equipment in the following Townsville Parks. 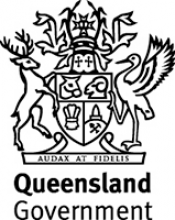 The Works for Queensland has been funded by the Queensland Government's Works for Queensland program.